Permanently closed at the top, open at the bottom with gasket, MERV 11, Spun Bond fiber filter media, 100 sq ft.(open pleat design), 17.5" diameter, 23" tall, outer cage only. For over five years, our 35A Series Filters have been built specifically as upgrade replacements for the balloon bags used on hobby-type dust collectors. With thousands of units shipped, we have developed a wealth of experience upgrading these systems.Upon start-up with a pleated cartridge filter, the first thing you will notice is a huge increase in airflow, as compared to the original bag arrangement. This is due to the large surface area of the cartridge filter. Remember, doubling the surface area of a filter results in a four-fold decrease in pressure. Stock bags offer about 35 sq. ft. of area, so a 100 sq. ft. to 274 sq. ft. cartridge makes a big difference.In addition to the increased flow, the filtration efficiency of your system is also improved. 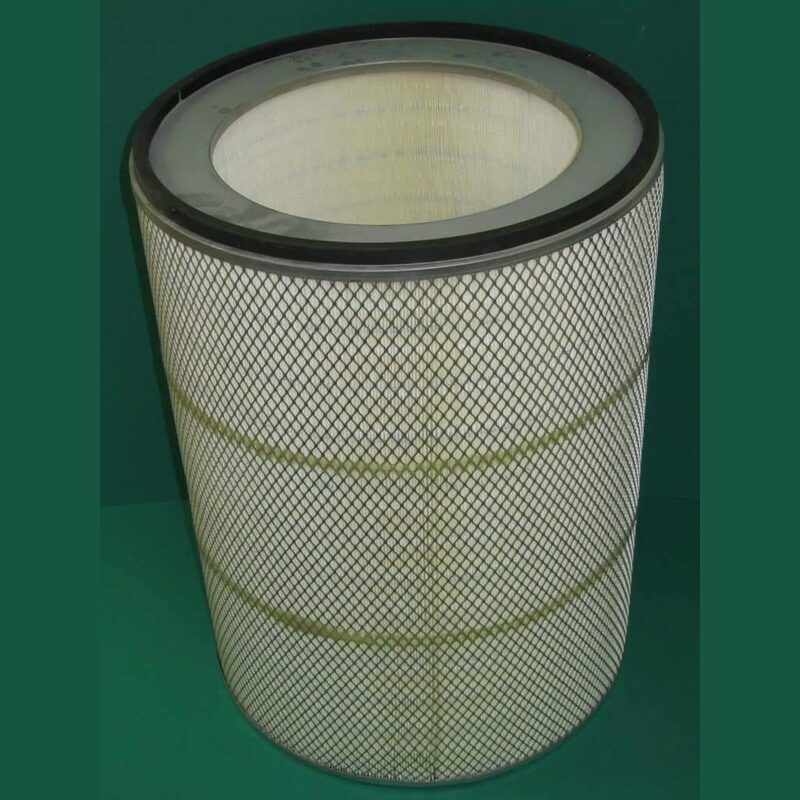 This is partially due to the increase in surface area, but is mainly due to the improved performance of the filter media. Our standard 35A274BLOL filter is rated 99.99% efficient at 0.5 microns after an initial break-in period.Our most recent addition to this product line is the 35A274NANO, which uses the next generation of Nanofiber Laminate filter media. These filters carry the MERV 15 rating, so they have a very high efficiency, right out of the box, with efficiency tapering off at about 99.999% at 0.5 microns.Note that there are several different basic styles of dust collector being manufactured out there. They all look pretty much the same, but there are subtle differences in the diameter of the rim, and the size and shape of the orifice plate (separation ring, cone). We are slowly accumulating a database of the different variations, and have listed our notes on a separate page. Click here for our Application Notes, to see if we have your model listed.